Reliance Jio has already started beta testing the JioPhone which will be given to users at a price of Rs 1,500. JioPhone delivery will commence from September onwards on a first-come-first-served basis. Just a few days are left before the actual pre-bookings for the much-awaited JioPhone start on August 24. Reliance Jio has already started beta testing the JioPhone which will be given to users at a price of Rs 1,500. However, the money will be returned to them after 36 months when they deposit the phone. 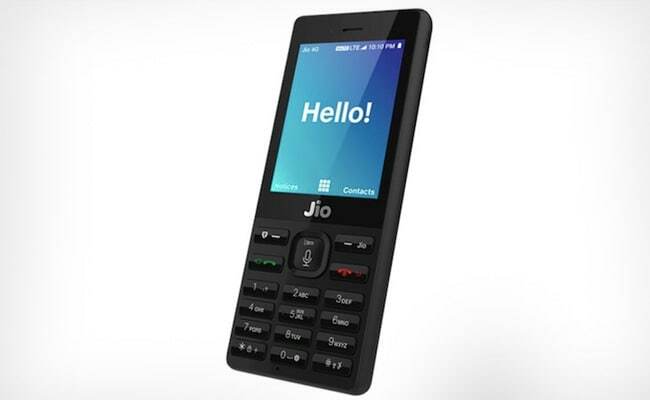 Analysts say that JioPhone is likely to create a major disruption in the telecom industry and may prompt other major telecom operators to come out with similar 4G feature phones in the near future. Those who are interested to book a JioPhone can also register their interest on the Jio website by clicking on the "Keep me posted" link. The delivery of the phone will commence from September onwards on a first-come-first-served basis. With its new strategy, Reliance Jio aims to take over the entry-level handset market as it did in the mobile tariff segment. The 4G feature phone will allow its users to make unlimited voice calls and will provide free data and SMSes for a monthly recharge of Rs 153. The phone will also give free access to Jio apps for 28 days. Jio had earlier said that two recharge packs - priced at Rs 24 and Rs 54 - will also be available for JioPhone users and that these packs will allow them to use data and call benefits for two days and seven days respectively. Users can also register their interest for JioPhone through SMS, Jio customer care confirmed. To register, they have to type "JP<>your area PIN code<>Jio Store code near your locality" and send it to 7021170211. Users can get the store code by visiting the nearest Jio store.